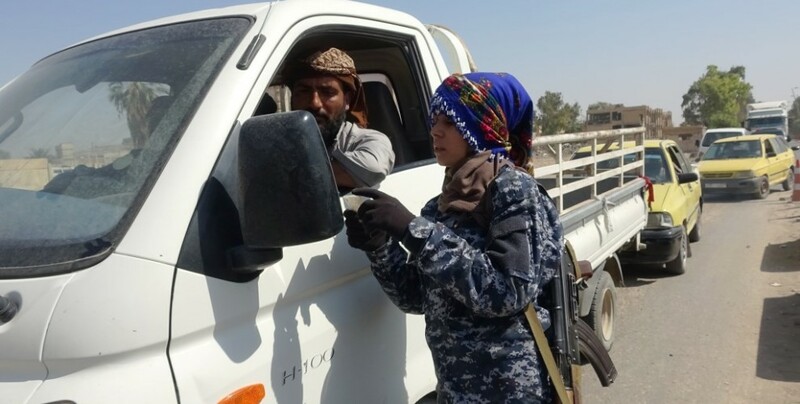 ISIS gangs have offered women nothing but massacres, rapes and black chadors to women throughout their occupation of Raqqa. During the gangs’ invasion, women in the city had no presence left in social life and female presence in all areas of life had all but disappeared. 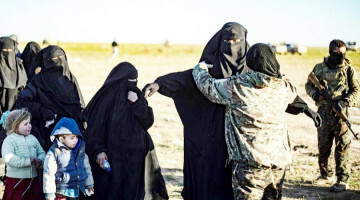 But after the city was liberated by SDF fighters on October 20, 2017, women tore out the black chadors that personified the darkness that befell them and started to lead all areas of life including defense with their own colors. 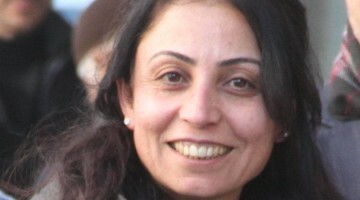 Women led society in civilian institutions, academies, communes and assemblies in Raqqa and wrote epics of heroism during the rescue of the city from gangs. Raqqa’s women today take part in the Operation Cizire Storm and fight to clear the Northern Syrian lands from the gangs that tormented them for years. 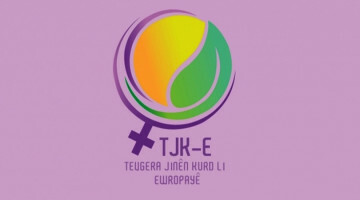 After Raqqa was cleared of gangs and dark clouds disappeared over the city, women started to join the YPJ and the Social Defense Forces so they won’t ever be forced into darkness again. 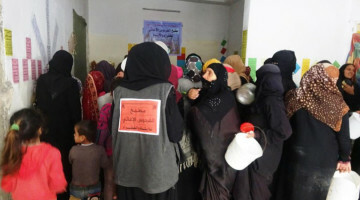 Social Defense Forces in Raqqa opened its first center on January 1, 2018 to strengthen security and defense efforts in the city and to allow the people to directly take part in security activity. 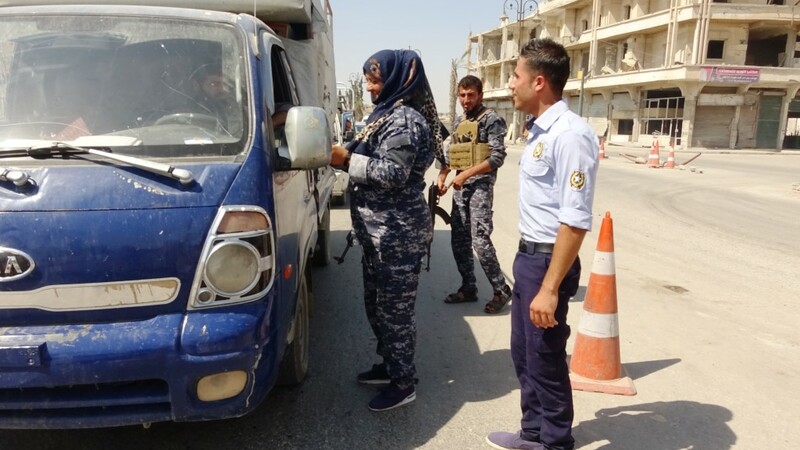 Women in the Social Defense Forces ensure security in entrance points to the city, and in checkpoints throughout the city itself. HPC’s women lead the city’s security efforts and conduct security checks and patrols in various locations. 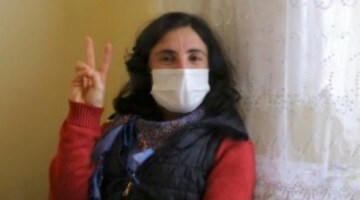 Firyal Al-Ahmad has been a member of the Social Defense Forces for the last 9 months. 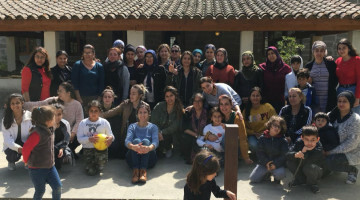 She remarked that women have achieved great gains in the women’s revolution in Northern Syria and took their freedom, adding that they as women are now playing an active role in all decision-making mechanisms of society.